﻿Looking for bill organization ideas? Learn how to understand and track your bills and payments and find ways to easily organize your bills using technology. 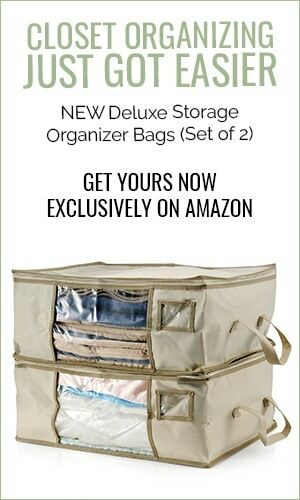 If you need bill organization ideas, you’ve come to the right place! In this article, you’ll learn how to understand what bills you actually owe, work out a payment schedule to help you stay organized, and find ways to organize your bills with the help of technology. Paying the bills is a responsibility that many adults dread. Keeping track of dollar amounts and due dates can be confusing, if not exhausting, and missed payments can result in serious consequences. Even though it’s clearly important, staying on top of your bills can feel downright impossible. 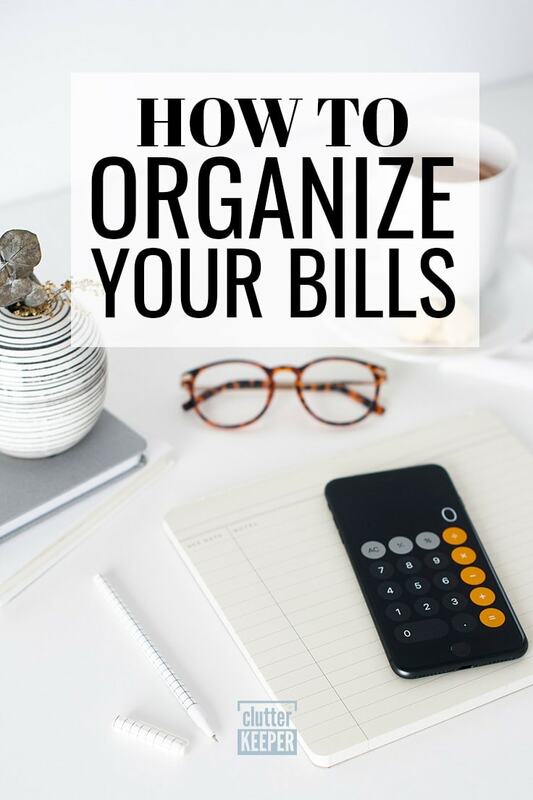 If you struggle to manage your bills, you may want to bring a little order to the process by getting organized. 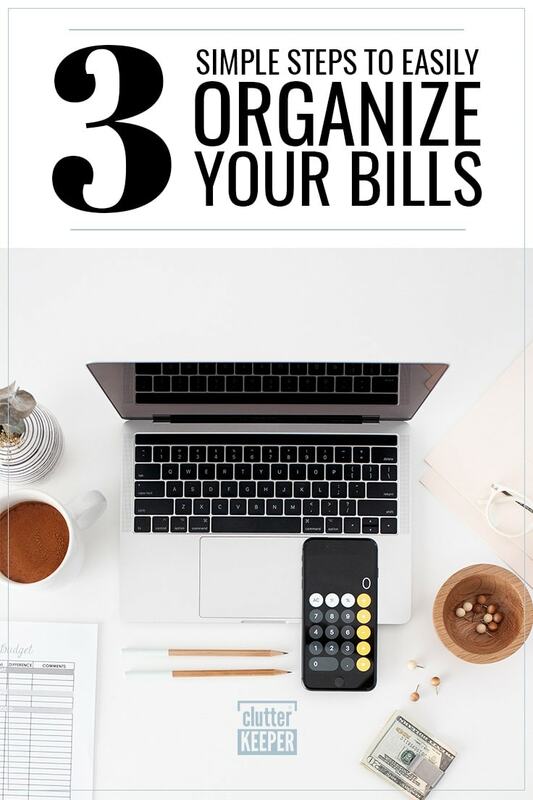 Organizing your bills isn’t hard, and it’s definitely worth the effort. Taking the time to organize your bills will ultimately save you valuable time and energy. Missed payments can result in minor inconveniences to serious punishments, from late fees to hits to your credit. You’ll sleep easier once everything is organized, knowing your payments are taken care of. Step 1: Understand what bills you owe. What payment method should you use? 1. Organize your bills with a spreadsheet. Spreadsheets can be great tools in staying organized. They offer an easy way to track information and offer lots of flexibility around formatting. You can download a template online to track and organize your bills, or you can create your own. 2. Organize your bills on a printable. Prefer a more traditional approach to tracking your bills? Keep track of amounts owed, due dates, and other details with pen and paper. You can use a simple notebook, or you can have some fun with the process and find a free printable. 3. Organize your bills with an app. There are lots of apps out there designed to help you keep track of your bills. Available for both Android and iPhone, Prism is a popular choice for people who need help remembering when to pay what. The app will track your bills, send reminders when they’re due, and can even help you pay your bills electronically – and this is just one app. There are lots of other apps out there with similar functionality. 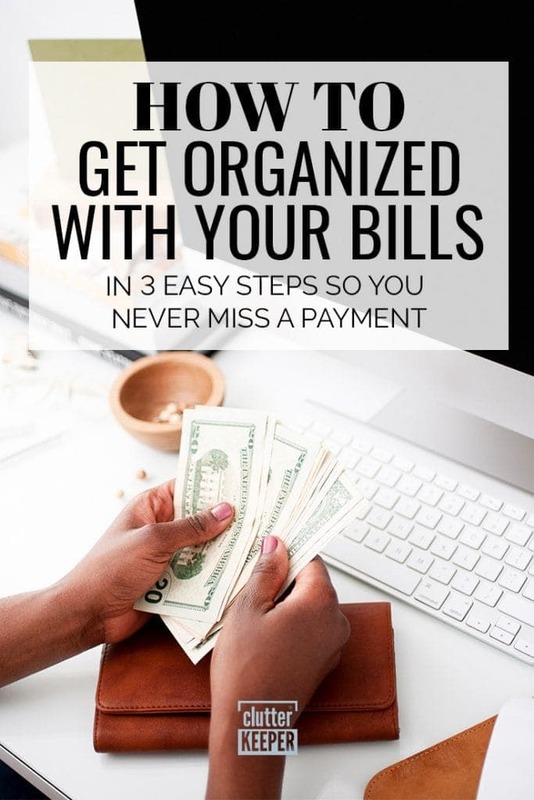 Step 2: Set a schedule for paying your bills. Paying bills on time can be tough when you’re dealing with due dates scattered across the month. Creating a schedule to pay your bills can be an easy way to make the process more organized. First, put some thought into the bill pay schedule that would work best for you. Do your current due dates cause you stress? It may make more sense for you to stack all of your bills toward the beginning or end of the month so you can pay everything at once. Others prefer to split their bills, with some bills due at the start of the month and others due midway through. 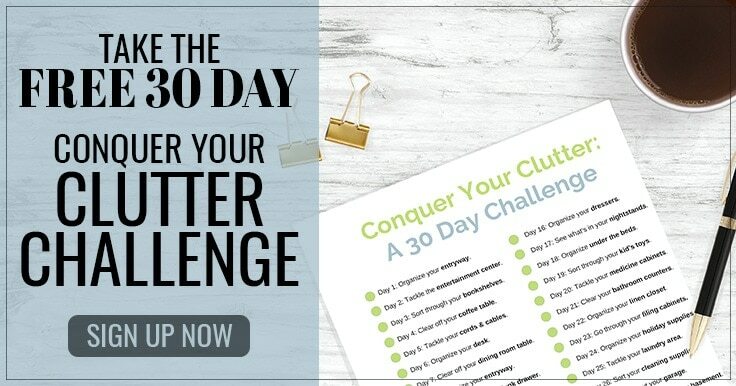 Then, based on the schedule that would work best for you, see if you can adjust your due dates. Contact customer service and ask politely. Chances are, you’ll find many are willing to work with you. Once you understand your new due dates, you can create a more detailed calendar of exactly what you owe, when different bills are due, and how you need to pay. Step 3: Use technology to keep your bills organized. Technology has made our lives easier in a lot of ways, and when it comes to organizing your bills, it can definitely play an important role in the process. There are two easy ways technology can help you organize your bills. First, if you’re still getting paper bills, see if you can opt for online delivery. Instead of opening mail and keeping track of paper records, you can receive your bills in your inbox or choose to manage them directly in the service provider’s online portal. Keeping your bills online lets you save them into folders, search them, and easily use them when you need them. 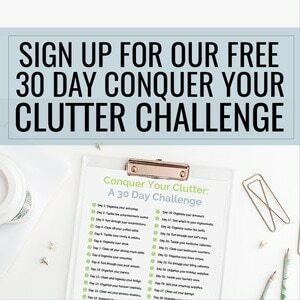 It’s also a great way to reduce paper clutter. Another way technology can help you keep your bills organized? Automate the process! By eliminating the potential for human error, you’ll ensure your bills stay organized – and paid – through online bill pay. You’ll spend some time on the initial setup, but once it’s done, you can sit back and relax knowing your bills will be paid on time and in full. You can do this one of two ways – through your bank, or through each individual bill’s website. Use your bank’s automatic bill pay service. Many banks let you add payment details for your various bills and automate the payment process. Some transfer payments digitally, while others print checks and mail them off automatically when payments are due. Using your bank’s online bill pay will let you manage all of your bills from one spot. Set up automatic payments directly through your service provider(s). If your bank doesn’t have a sophisticated bill pay platform, you can often schedule recurring payments with your service providers. Log in and explore the settings to find and activate the auto pay feature. All you need to do is provide your bank information once. Organizing your bills may require a bit of work, but the reward will be worth the effort. You’ll rest easy knowing exactly what you need to pay and when it’s due. And if you choose to use technology to organize your bills, you’ll have even less to stress about! Do you have a favorite way to organize your bills? Let me know! Share your favorite bill organization ideas in the comments below. How to Build a Command Center for Busy Moms – Pay your bills and run your household from your family command center. How to Get Rid of Your Junk Drawer Once and For All – Eliminate your junk drawer and find a new home for spare papers and old bills. 10 Smart House Organization Ideas That Save Time and Money – Find inspiration to streamline your home and routine here.